In response to a recent question from a reader, our pilgrim-on-the-scene Agnese has sent me some information about the processions held before the Lenten stational Masses at the Roman basilicas, a commenter has also chimed in on this post. The processions begin with the Sign of the Cross, a prayer, and the invitation for the procession to begin sung by the deacon. They are accompanied by the singing of the Litany of the Saints; the name of the titular Saint of the station church is added, (if not already in the Litany), and the invocation of that Saint is sung three times. At the end of the stational Mass, the hymn Vexilla Regis is sung, and the people are blessed with a relic of the Cross. The stational churches bring out at least a large number of the relics which they have, and display them for the veneration of the faithful. The latter initiative has been much encouraged by the Pontifical Academy for the Cult of the Martyrs, and it must be noted that the Vicariate of Rome has in recent years really stepped up its promotion of the Lenten stational obnservance. 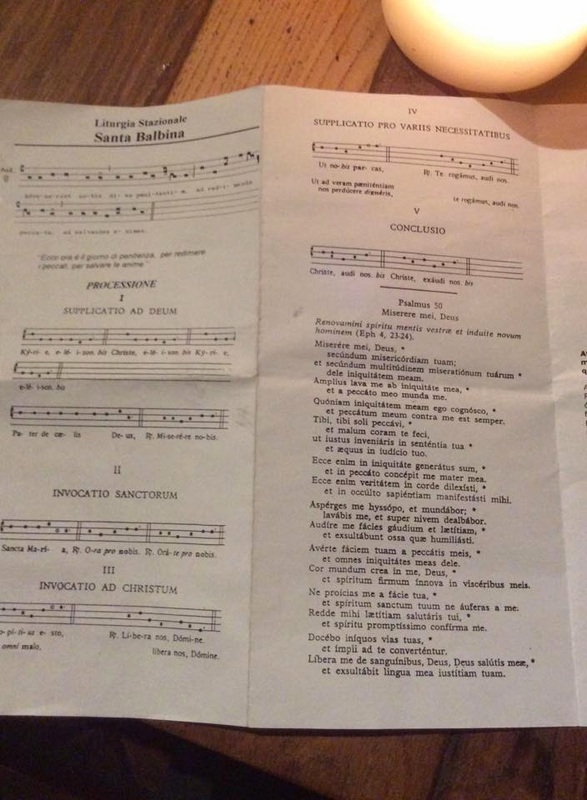 There is generally a fair amount of latitude to add things to these types of ceremonies, and Agnese also sent me two photos of pages of the booklet used when the station was at Santa Balbina on Tuesday. 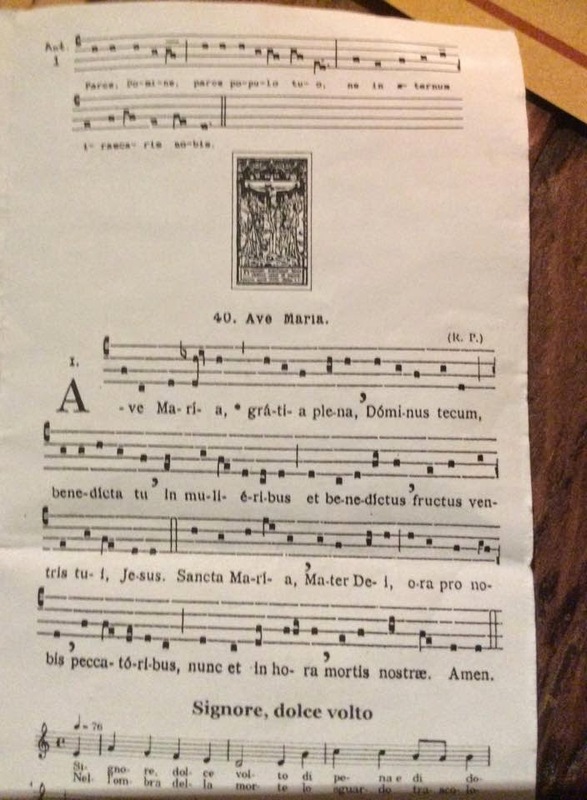 The first shows the addition of the Psalm Miserere to the Litany, and the second the Gregorian Ave Maria, and the beginning of an Italian hymn.